Daniel Linehan is presenting this hybrid performance format with the aim of bringing the audience closer to him and vice versa. He talks about his working process and the thinking that accompanies it. 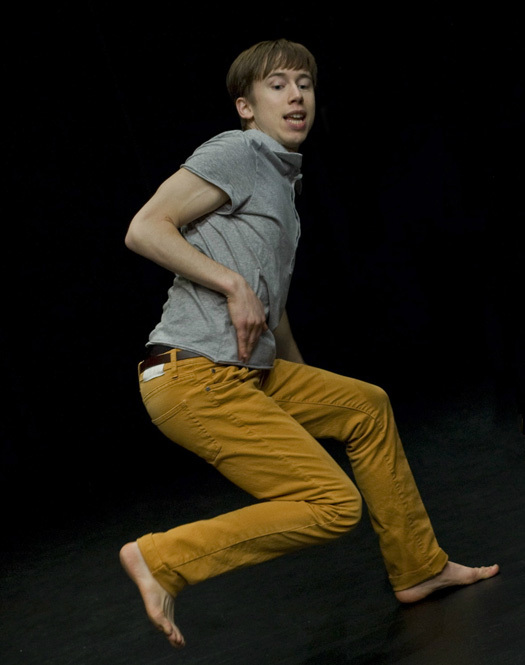 Daniel does this while performing passages from his choreographic works and commenting on them. He dances, narrates and observes. In this multi-layered session the spectator almost becomes one with the artist. The audience can almost feel the floor beneath his feet, think his thoughts, see the hazy image that looms up before his eyes. And in the midst of all this Linehan tries to see himself through the eyes of the audience. Doing While Doing is a unique lecture-performance for anyone who is interested in the thought and experiential processes hidden inside the mind and body of the performing artist.